Therefore any menu of any hotel or restaurant should enlist the food items in an easy to view way and an informative way to boost up the sales otherwise a disorganized menu can turn into a worst sales maker for your establishment. Since often sophisticated guests again visit the hotel or restaurant regarding the food listing and availability of the menu. The first thing that a guest sought after in the restaurant is the physical appearance of the menu, so if the menu is not presented well then the first impression will never be impressive in the guest’s mind. The food presentation should be stimulating and appealing so that the guests set their mind to enjoy service of the organization. If the guests cannot understand the name of the food items that are listed on the menu then how will they order any food? A menu should always be developed and printed with easy to read and large font to make it readable for everybody. Moreover the paper and ink colors that have used on the menu will must be of better quality. Be observant to guest while the guest is reading the menu so that you can beware of any sign of difficulty and solve it accordingly. 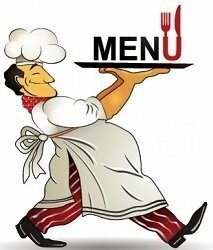 If the menu will be developed with unfamiliar terms and does not maintain the sequence of food offering (ex-list of entrees is appeared before the appetizer items) then the menu will not be understandable which may lead guest dissatisfaction. A menu must have to be organized and comprehensible to make the guests repetitive. The menu can be updated any time for some reasons, for example, to change the year of vintage on wine lists. If the menu is changed or updated with handwriting instead of printed version then the menu may lose it’s professional look. So whenever the menu is updated then the changing or editing should be done in more clear and newer version so that guests become happy with the change. Offering expired or yesterday’s specials are very disgraceful actions in the food operation. Always discard your expired items from your pantry and offer fresh items in the daily specials as the name suggests. Every kitchen staff in the food service establishment must be briefed to see everything in the restaurant from guest’s point of view. Restaurant uses blackboard to list specials of the day which often boost the sales and generate profit. If guests can understand anything on the blackboard then they will not be able to order anything. However the description in the blackboard must be in an easy to view location with neat and easily readable handwriting so that the guests can read what is on the board. Sometimes too much narration for daily special might be irritating for guests. Hence daily special should not be lengthy and presented in short yet comprehensible way. Always first give a small verbal presentation and then serve a short menu on day’s specials to the guest so that guest can easily decide. Menu is a written form of food offerings that are served by any restaurant or hotel. The size of the menu can be different in respective to the number of food offerings. However if the menu is bigger in size then the menu must be developed in better quality material to prevent them from folding or breaking. If any large menu is made of inferior quality then the guest may find it difficult to hold it properly which can lead guest dissatisfaction. The menu always should be clear and easily readable. Photocopied version may not bring the professional look regardless of good service and food quality. Having spelling mistakes or grammatically incorrect food description is the most awful thing. 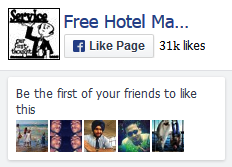 This shows negligence and unprofessional attitudes towards service. So before getting final printed version, the menu must be checked and verified properly to avoid any kinds of mistakes. Guests always prefer the items about what they are familiar. If they will not understand any terms then they may not be interested about that food offering. Unidentified or unfamiliar items in the menu can make lower sales making of that food. A well planned menu ought to list popular and identified terms, even if they have to add any new item then a small description must be added for guest’s better understanding. It will be discourteous for any guest if the menu is not presented in the native language. But every menu also should have English translations in the subtitles for English-speaking guests to show common courtesy. Your menu presentation and food offering always ought to match with your theme of the restaurant. Otherwise guests would be misinterpreted with the service nature of the restaurant and their expectations will not be fulfilled. Wrinkled or soiled menu always gives unappetizing impression to guests which lead the meal off to an appalling start. Even an unclean or stained menu can raise question about the hygiene standard of the hotel or restaurant in guest’s mind. So always check all menus and ensure that are in good condition before serving. A well planned menu with attractive lists of food offerings always higher your service quality and ensure guest satisfaction. An incomplete menu never enthuse the guests to come again in the restaurant. If a menu lacks any particular course or daily special mistakenly then it will not be a sign of professional service and creates an annoyance for guests. Every menu should be checked duly so that any food item would not be misplaced or left behind. And if any menu is updated or if any item is inserted then the respective personnel are always to be sure that new items are inserted correctly maintaining the right sequence. Guests become highly irritated if they order any item from the menu but the restaurant is unable to provide the item. All food service establishments should always include those items in food offering which they are able to serve. Moreover restricting the items in particular time frame is also considered as a bad manner of service, for example, a guest comes at restaurant at noon to have food and but the item she or he ordered is not available after 10:30 or before 6:00. The menu should always states what the restaurants can offer, not what they cannot. Adding high contrast photo with the foods make them more appealing and attractive which persuade the guests to order. However if the items served do not match with the food picture then guest’s expectation will not be met and it make the guests disappointed, no matter how much tasty the food is. Every menu listing should have the dessert section. Verbal description may not be enough for ordering dessert items since most guests may not remember more than two or three items. All restaurants should include the dessert section or have a separate dessert menu. Having separate dessert menu will be helpful for any food service establishment to market the dessert items. Many guests come to restaurant with their kids. If they do not find any items for their kids then it is very much disappointing for both guests and children. So while planning and developing menu, the responsible staffs must include food offering for children only to ensure excellence of service and to make the guests repetitive. Lack of sufficient menus to offer guests and asking guests to share menus at peak hour always lower your service quality and makes a pitiable first impression. All food service organizations must arrange adequate number of menus to meet rush hour. Count your menus at least once in a week to ensure that you have required numbers of menus and if needed then organize more so that you do not need to face any embarrassment from guests. In most cases, the foods that are served for the guests do not match with the exaggerated food description that was written in the menu presentation to attract the guests. The menu planners often use overbroad words to describe any item in the menu, but the wording is often misleading in reality. If the guests do not get the accurate foods what they ordered they become annoyed and disappointed. Hence if you are not able to provide the foods that you described then just list your food offerings with simple name along with standard description. Food portion must be made according to the price of the item. Offering small portions at high prices may lose your guests. So while developing menu, the portion size must be allocated concerning the charge of the item. Most of the guests prefer to eat larger meal in the evening. Therefore offering traditional luncheon-size portions only at lunch hour may not be useful and profitable. So the menu planner should always include luncheon-size portions in both lunch and dinner time. Signature item always distinguished a food service establishment from other food service organizations. The menu listing must include a signature item to pull towards the guests to the restaurant and to make them repetitive. If a menu does not offer any signature item then guests will chase for other restaurants to have something extra food item rather than having normal dishes which is a loss for organization. A delicious and mouthwatering signature item will help you to generate money and to achieve competitive advantage. When a menu offer fixed price menu then guests come to restaurant with an expectation that they will have to pay a fixed amount regardless the quantity of the order. However, offering surcharge in fixed price menu will lead the guests to feel cheated and discourage them to visit this hotel or restaurant. Almost every restaurant runs food operation with a core menu to set the theme of the restaurant in the market and to target the niche. If the menu is changed or updated every now and then, it may raise trustworthy issue in guests’ mind and make them confused about what to expect from your restaurant. The idea may be useful for some small restaurants but offering a weekly menu would be less risky for any kind of restaurant. Growing health consciousness towards rich items prevents the guests to choose fat and cholesterol and inspire them to go for non-meat menu choice. So, considering this preference on menu listing and offering meatless item would be a great idea to ensure more profit and guest satisfaction. If price increases are the only changes that happened with menu and offering same food items over the years rather than focusing on the current popular food demands then the whole food operation and service will be dull and boring and even might lose its regular customers. 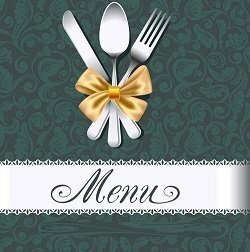 Your menu must introduce new items or current sensation in the food market to attract the guests who always look for new item. Update your menu at least twice a year to eradicate less popular items and add new items. But remember do not make drastic changes. Adding too much restrictions along with the food offerings always make the first impression negative. For example, if a guest sees the following comments in the menu at his/her first arrival then he may lose his interest to avail the food in that restaurant. We have the authority to reject any guest for service. Sales tax will be added to all taxable food items. We are held responsible for lost, damaged or stolen items. If it is necessary to put restrictions then write your situations courteously using polite expressions so that guest would not be dishearten and understand your limitations. Apart from regular guests, your menu ought to able to necessities the demands of guests who sought for particular items concerning their health condition. Offering heart healthy choices and low fat options for people with health issue such as diabetic, obese people or heart patients you can not only show your concern towards such guests you can but also ensure competitive advantage over the other restaurants who do not offer any health food in their menu. A well planned menu should neither offers a variety of options nor so much limited choices. It will make them confused apart from enhancing their dining experience. Guests should be offered with standard food offerings that appetites them within a reasonable period of time. Use of inferior material while making menu. Offering food items prepared with limited number of preparations techniques. Menu listing is not maintained in a chronological order. Inappropriate balance of carbohydrates and protein on food items offered by the menu. Poorly stated or extravagant descriptions of preparation on the menu. Lack of nutritional value in menu items. Offering too much reasonable options or pricy options. Food listing does not match with the food serving. Lack of different cuisine in menu planning. Wine menu only offer two or three range of wines. Violation of menu policy making. Menu costs extra charge for blue cheese dressings. Lack of creativity in describing menu items. Menu listing is prepared only considering the high end market. The uses of classical terms without proper follow-through in the service. The design of the menu is same over the years. Absence if quick meals in menu planning.